1) Share this promo (set public). 2) Studio use must before 30th April 2017. 3) Available for Studio PJ (B) & Studio Cheras. 5) Maximum of 3 hours per slot / customer only. Additional hour will be charge based on normal / member rate. 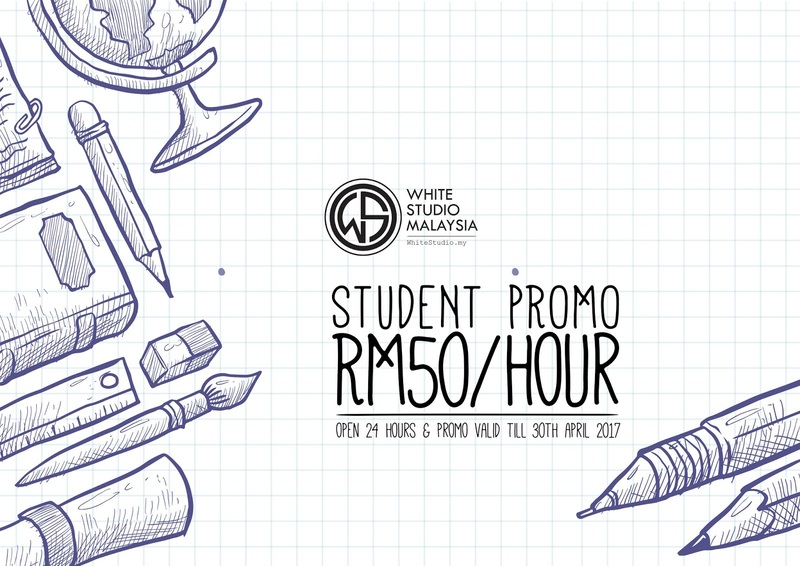 6) White Studio Malaysia reserves the right to cancel the promotion at anytime. For booking or any inquiries; whatsaap us at +60166664034 or PM us.